If feel like I must get less email than pretty much everyone I know. Like most of the time when people talk about how much email they get in a day I nod and commiserate and hope they don’t notice that I don’t say “Oh me too!” Maybe something’s wrong with me? Maybe I’m not on enough projects? MAYBE MY STUDENTS DON’T NEED ME?? Not that I want more email, of course. Then I’d never be able to keep up. Basically, I’m impossible to please. 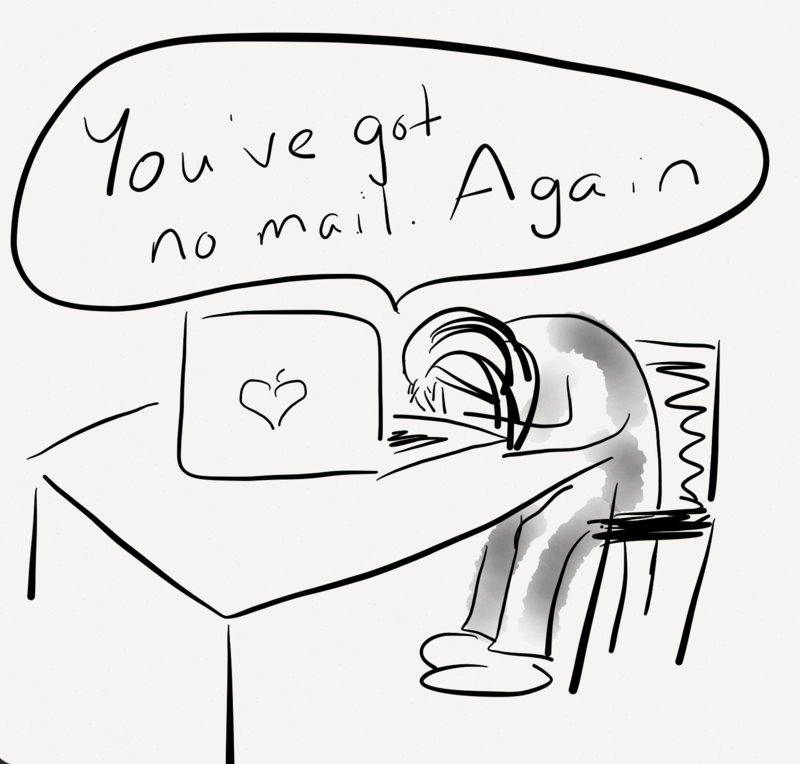 I know how you feel- I’m pretty new to my position, so I don’t get a ton of email either. I’m always shocked when I see that a colleague or a patron has 500+ unread messages. Or when I hear people talk about Inbox Zero as if it is a mythical beast. I think it helps that I’m a bit obsessive about checking email and filing it away in the proper folders- but maybe I’m not important/involved enough to be burdened with a flood of emails. There are definitely worse problems to have! This happens to me too. But I tend to think people like to say “I get sooo much mail!” the same way they like to say “I’m SOOOOO busy” when they really aren’t any busier than most anyone else. I think it makes people feel important regardless of whether they are. But maybe I’m being too harsh!